Tragically, one of the biggest reasons the Palestinian refugees continue to suffer is because of how Arab countries have treated them. This is an interesting debate about Israel's Nation State Law. 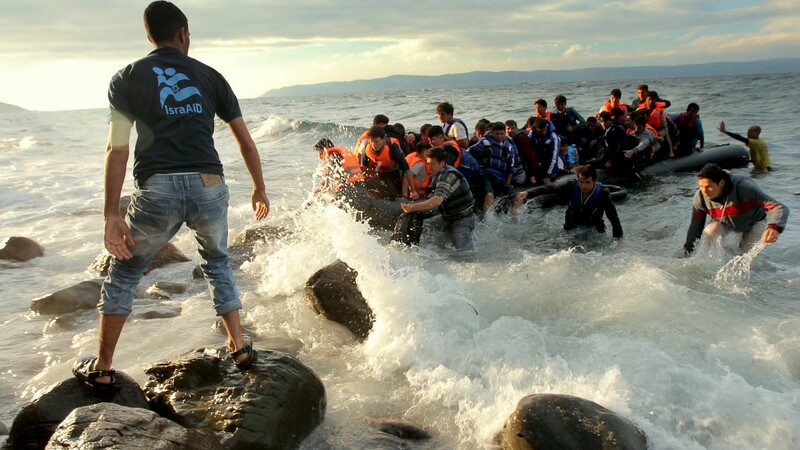 For years now, the Israeli organization IsraAID has been helping Syrian refugees in Greece and elsewhere. Overall, they reach more than 750,000 people a year with humanitarian aid, and strive to empower communities rather than making them dependent. Jerusalem is the only city in the world with ancient sites that are holy to Judaism, Christianity, and Islam. Israel safeguards free access to holy places and each religious group’s right to administer its own holy sites. Israel is a democratic country which does not hold political prisoners. Israeli prison conditions meet or surpass those of other liberal democracies according to numerous reports. According to historian Benny Morris, the most prominent scholar on this issue, responsibility for the Palestinian refugee crisis in 1948, "is split among [Israel], the Palestinians and the Arab countries – with enormous responsibility lying with the Palestinians who started the conflict." According to Benny Morris, the most prominent historian on this issue, "ethnic cleansing was not carried out in Israel" during the 1948 War. Israel's Democracy Institute, which is highly critical of Israel's Nation State Law, says it is problematic but won't change how the country is run. According to a poll conducted after the Nation State Law passed, 60% of Israelis believe the law should have included language about equality. The Israel Democracy Institute offers an explanation and critical perspective on Israel's Nation State Law. Eugene Kontorovich argues that Israel's Nation State Law is similar to laws that exist in many democratic European countries, and does not infringe on minority rights. This article argues that while Israel's other Basic Laws ensure its status as a democracy, the Nation State Law is needed to express its existence as a Jewish state. This article criticizes Israel's Nation State Law due to its impact on the Druze community.